Antoni Gaudí Facts 1: who is Antoni Gaudi? The people who do not know much about this architect will be curious about Antoni Gaudi. He is a Spanish architect. Many people know him as the creator the Catalan architecture. Most of his works are inspired from the nature and surrounding. He loved to incorporate the modernism and natural design in his works. The most famous work of Antoni Gaudi is Sagrada Família. This building is located in Barcelona. When many tourists visit this city in Italy, this is one of the most popular destinations. In a very young age, Gaudi decided to become a vegetarian. He did it because of the advice of his physician. He chose to become a vegetarian since he was very sickly at that time. As an architect, Gaudi had his own style when making a building. He preferred to build the 3D model of his building to give an exact portrayal of the building. He never planned or even drew the building. Gaudi was always associated as God’s Architect. People call him like that since he always infused the religious images in most of his works. 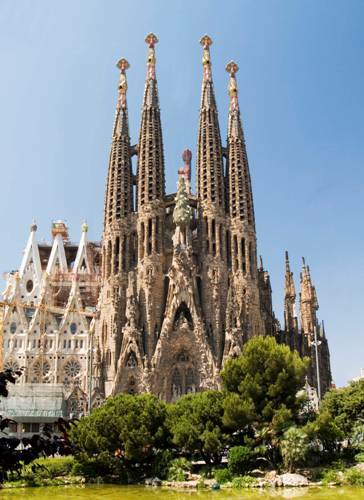 If you visit the city of Barcelona, you can find out the first worked Gaudi. It was lamppost. The location of these lanterns is round the Royal Plaza or Plaza Real in the city. During his life, Gaudi preferred to live a single life. He never married anyone. There are seven of his works declared as a part of the World Heritage Sites in 1984 and 2005. His death was miserable. He was struck by a tram on 10th June 1926. Gaudi died when he was 73 years old. Since he dressed in filthy and dirty clothes, people thought that he was a poor person. Do you have any comment on facts about Antonio Gaudi?